For two weeks now I haven’t been able to look at a discarded heap of cardboard without seeing some kind of lusus naturae piece itself together from the rubble and emerge as an animated being. As a child, I didn’t have many videos (remember them?!) and I ended up having a mix of kids videos and my dads videos that he deemed okay for me to watch. One of them was a collection of Aardman shorts, which contained nice little films such as creature comforts and the music video for “My baby just cares for me” by Nina Simone (http://www.youtube.com/watch?v=eYSbUOoq4Vg) which are all nice and entertaining! 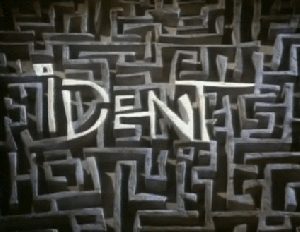 But there was also Ident – a short made in 1990 and directed by Richard Goleszowski. Watching it again was a really weird experience. The first time, I found myself thinking “this wasn’t so bad! Its even quite funny in places” and then I realised that I understood some of the situations that the character was going through. Rather than seeing it as a series of unfortunate events happening to this weird finger, I saw it as a snapshot of a day in the life of a man. I had to go watch it again. After seeing it a second time I understood it a lot better. Its the story of man making his way from home, to work, then to a bar, all within the confines of colourless city walls, then finally ending up in a completely new, colourful and free space. During the film, it feels like you can see so many different ideas represented. At the start, you see the man talking to what I presume is his wife. He seems to charge off after a fight, leaving her literally in pieces. At his work, you see his boss making him feel small, then watch him getting caught up in the hustle and bustle of the city. The scene at the bar is my favourite because you watch him relaxing with a friend, and I swear I hear people talking exactly like they do sometimes! But I found it really weird experiencing this short again, and realising that it was more than just a weird animation and had a lot of meaning behind it! Still kind of disturbing though. 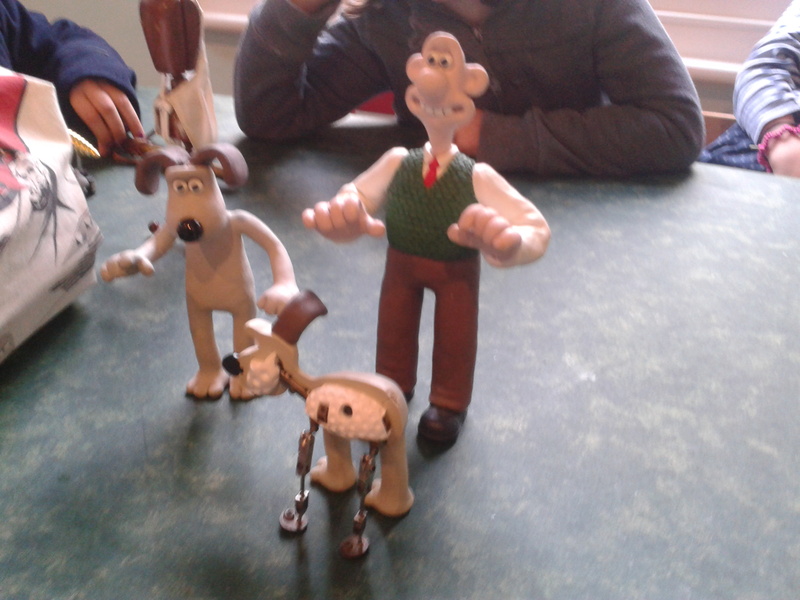 So this weekend, I (Cai) had an amazing opportunity where I got to go to a workshop with one of the animators from Aardman Studios! For those of you who don’t know, Aardman Studios are the masterminds behind Wallace and Gromit, Chicken Run, Pirates! and much more! The workshop started off with one of their model makers showing us some of the models they actually use (Including The Golden Carrot from the curse of the were-rabbit!). What was really cool was that he showed us a model that had been cut down the middle. This meant that we could see what was inside their models. They use a metal wire frame that means that they can move it round, which was not what I expected! 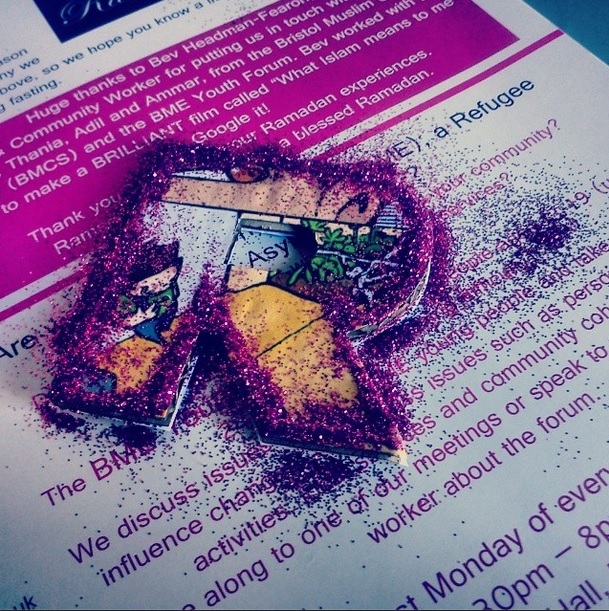 Some of the plasticine was quite hard to work with, and you could accidentally mix in other colours to yours! I was sat with a hairdryer warming up my plasticine, because it was too cold! Since we did it though, I’m always smoothing down little bits, making it even smoother. I don’t think I did too badly! It was cool to see all the multi-coloured Gromits all together at the end! Recently I have been thinking a lot about different types of animation and came to the conclusion that I really want to do a hand drawn animation. I have been looking on vimeo and various places on the internet for inspiration and I came across Jake Fried. I really like the style of his animations where he uses white space as much as dark space. I also really like the sound track that goes with them, for instance in “Last Meal” the sound of people eating slowly turns into a odd unnatural soundscape, mirroring the change in the animation. I think the constantly changing images are intricate and beautiful and juxtapose the mystery in the story telling. I hope you enjoy them and are inspired by them like me. Check out the rest of Jake Fried’s work, and thanks for reading!